Nathan Mackinnon would draw Colorado even at 1-1 with a slap shot at 19:01 of the first period, assisted by Tyson Barrie and Mikko Rantanen. The Avalanche would take a 2-1 lead at 3:28 of the second period as Gabriel Landeskog would score on a wrist shot, assisted by Gabriel Bourque and David Warsofsky. The Predators would answer back at 6:28 of the second period as Filip Forsberg would score his first goal of the night, on a wrist shot that beat Varlamov. Craig Smith and Roman Josi assisted on the goal. 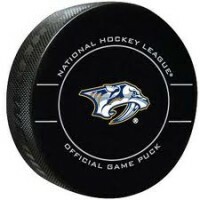 Nashville would take the lead at 13:39 of the third period as Colton Sissons would score his second goal of the night, for the 3-2 lead, and the Predators would never look back. Sissons was assisted on the goal by Ryan Hartman and Nick Bonino. 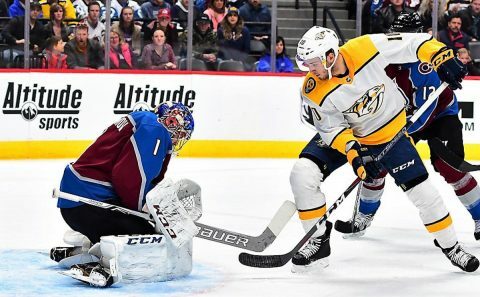 As time was winding down and the Avalanche pulled their goalie, Viktor Arvidsson and Filip Forsberg took the puck on a breakaway and Arvidsson fed the puck to Forsberg for the score. This allowed Forsberg to notch his 20th goal of the season. The Predators had to kill off five penalties in tonight’s game, something that’s concerned head coach Peter Laviolette. Nashville concludes this brief three game road trip with a game on Monday night at Buffalo. Puck drops at 6:00pm.